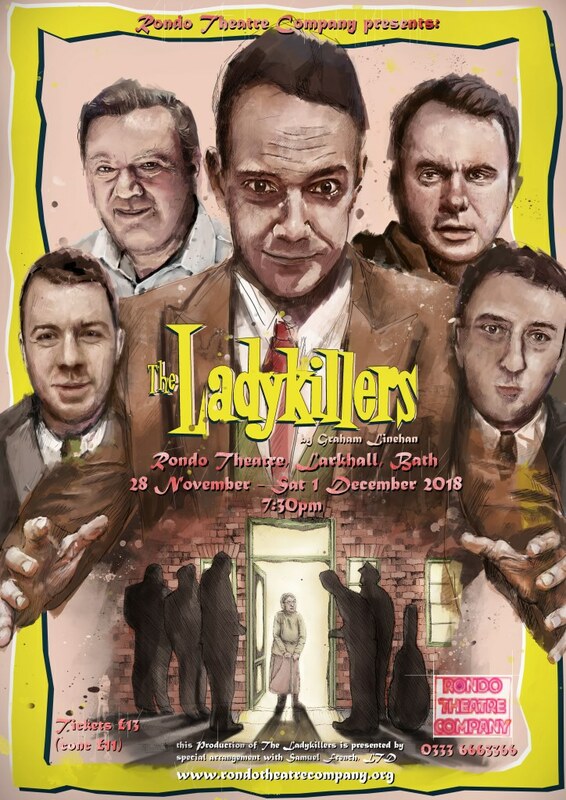 The classic 1950’s Ealing Comedy has received a new lease of life on stage. The Rondo Theatre Company are proud to present this hilarious adaptation from the mind of ‘Father Ted’ creator, Graham Linehan. Professor Marcus is a genius. His schemes are legendary. His gang of ill-matched, ruthless robbers need a base from which to plan and execute their latest heist. Where better than the run down home of sweet little old Mrs Wilberforce and her (hideous) parrot General Gordon, whilst posing as a 4-piece string quartet? What could possibly go wrong? Anyone for tea?! A huge success in the West End, Graham’s adaptation retains the darkly comic heart of the original whilst ensuring the break-neck pace keeps you enthralled and amused throughout!